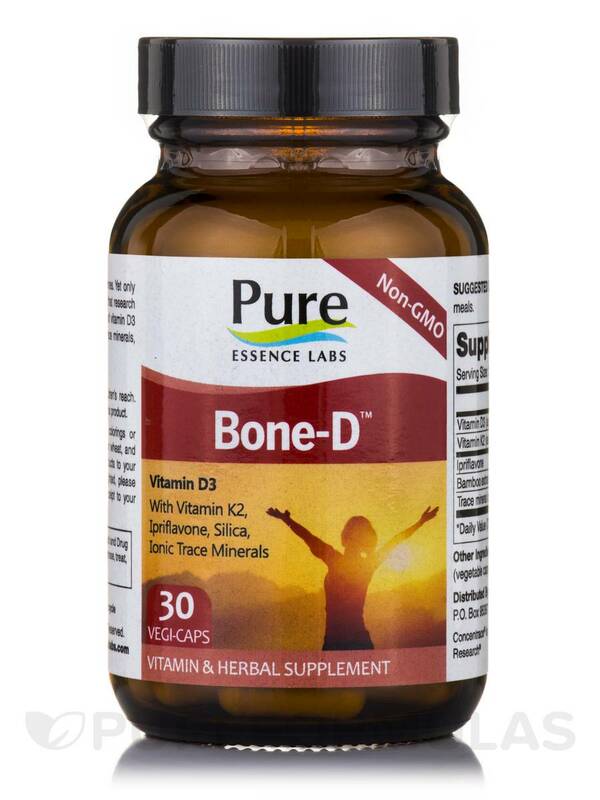 Bone-D™ - 30 Capsules from Pure Essence Labs is a dietary formula that improves bone health. 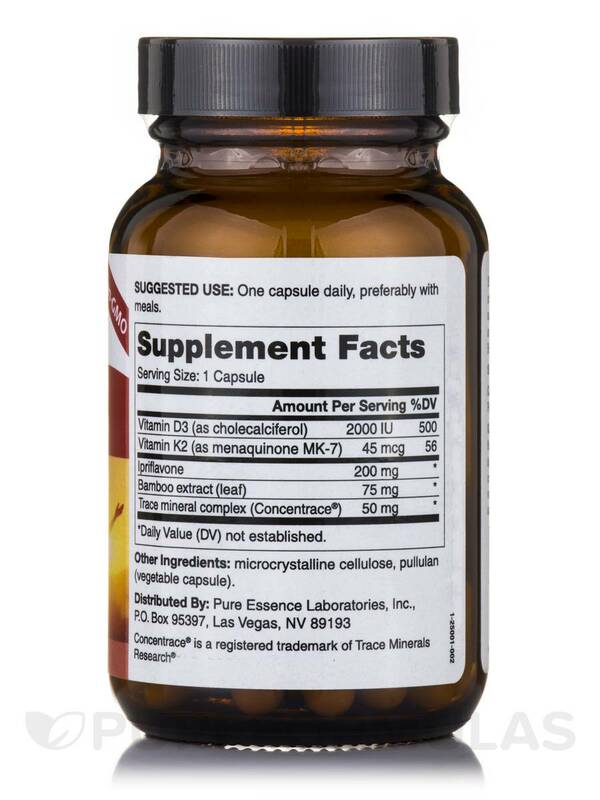 This supplement contains Vitamin D along with Vitamin K-2‚ Ipriflavone‚ Silica and Ionic trace minerals. Many studies show that Vitamin D is crucial for strong bones and teeth. Though this fact is well known‚ only one in 10 Americans get the amount of vitamin D that is recommended. Recent research believes that Vitamin D may also play an active role in protecting against cold and fighting against mood swings. Extensive research has gone into studying vitamin D. Scientists believe that Vitamin D is very important for proper bone structure and for the regulation of the minerals calcium and phosphorous in the body. 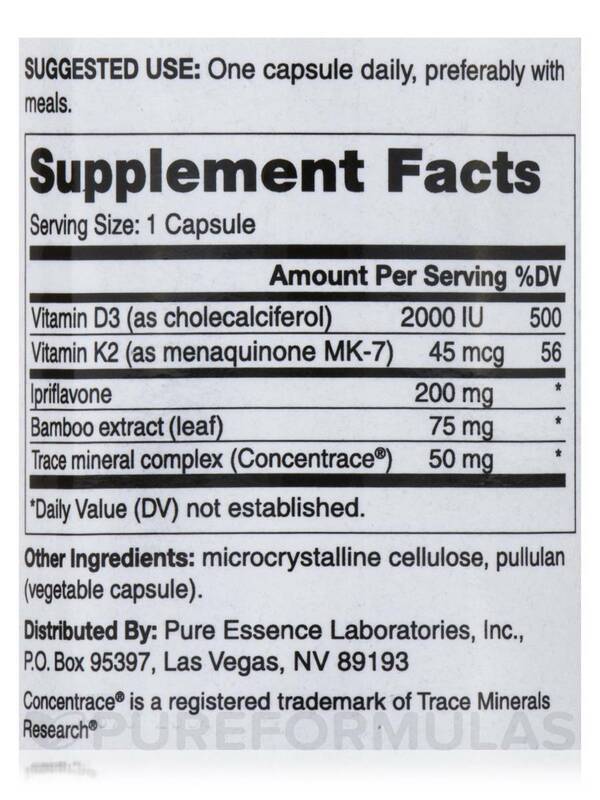 Vitamin K-2‚ on the other hand is a fat-soluble vitamin also known as menaquinone. This vitamin is essential in giving you strong bones. 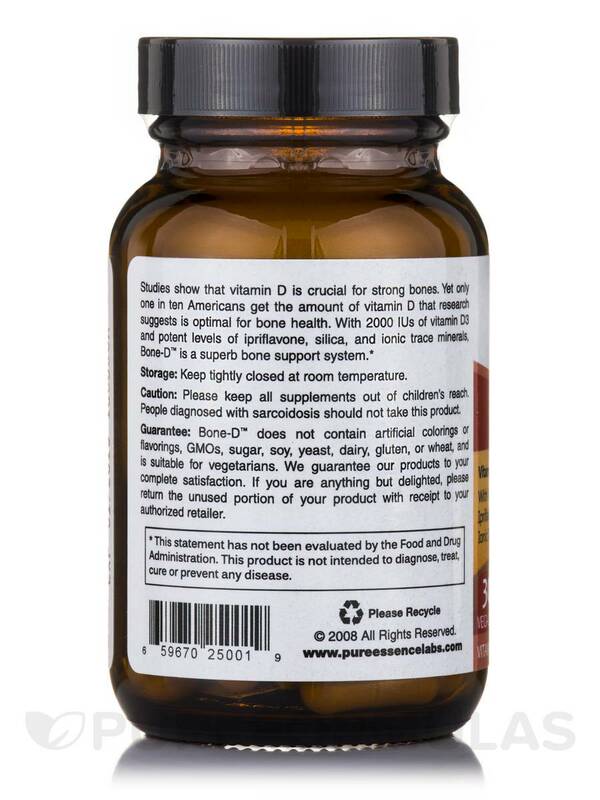 This Pure Essence Labs supplement also contains Ipriflavone. With so much goodness packed into one‚ your bones remain strong with Bone-D™ - 30 Capsules from Pure Essence Labs. Other Ingredients: Microcrystalline cellulose‚ pullulan (vegetable capsule). 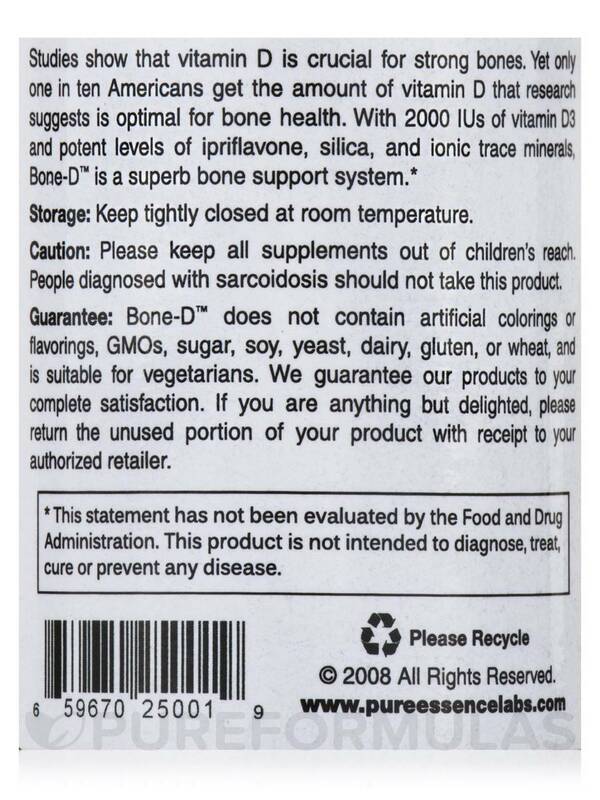 Bone-D™ does not contain artificial colorings or flavorings‚ GMOs‚ sugar‚ soy‚ yeast‚ dairy‚ gluten‚ or wheat‚ and is suitable for vegetarians.